Why do we process your data? Which data do we collect and process? Who has access to your data and to whom is it disclosed? This privacy statement explains the reason for the processing, the way we collect, handle and ensure protection of all personal data provided, how that information is used and what rights you may exercise in relation to your data (the right to access, rectify, block etc.). The European institutions are committed to protecting and respecting your privacy. As this service/application collects and further processes your personal data, Regulation (EC) N°45/2001, of the European Parliament and of the Council of 18 December 2000 on the protection of individuals with regard to the processing of personal data by the Community institutions and bodies and on the free movement of such data, is applicable. reached directly with the trader and where an applicable ADR is available. To enable ECC-Net to provide the above mentioned services to the citizens, an IT Tool, ECC-Net 2, is used to collect and handle complaints and the necessary data including your personal data. 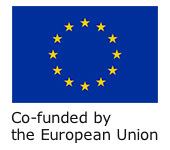 The IT tool is operated by the European Commission. The collection and processing of the above personal data through ECC-Net 2 follows the provisions of Regulation (EC) N° 45/2001 of the European Parliament and of the Council of 18 December 2000 on the protection of individuals with regard to the processing of personal data by Community institutions and bodies and on the free movement of such data and more specifically article 5, Paragraph (a and b). 2. Why do we process your data? Purpose of the processing operation: Head of Unit E.3: Consumer Enforcement and Redress, Directorate-General for Justice and Consumers, European Commission (referred to hereafter as Data Controller) collects and uses your personal information to assist the work of the European Consumer Centres. The aim of the European Consumer Centres’ Network (ECC-Net) is to provide consumers with information and advice on their rights, and assist them with the handling of their cross-border complaints and disputes within the EU/EEA, so that consumers can take full advantage of the internal market. Regulation (EU) No 254/2014 of the European Parliament and of the Council of 26 February 2014 on a multi-annual consumer programme for years 2014-20 and repealing Decision No 1926/2006/EC and, more specifically, articles 2 and 3(1)(c) and (d) of this Regulation. Directive 2006/123/EC of the European Parliament and of the Council of 12 December 2006 on services in the internal market and, in particular, article 21. Directive 2013/11/EU of the European Parliament and of the Council of 21 May 2013 on alternative dispute resolution for consumer disputes and amending Regulation (EC) No 2006/2004 and Directive 2009/22/EC (Directive on consumer ADR) and, more specifically, article 14 of the Directive. Regulation (EU) 2017/2394 of the European Parliament and of the Council of 12 December 2017 on cooperation between national authorities responsible for the enforcement of consumer protection laws and repealing Regulation (EC) No 2006/2004 and, in particular, article 27(1). Regulation (EC) No 45/2001 of the European Parliament and of the Council of 18 December 2000 on the protection of individuals with regard to the processing of personal data by Community institutions and bodies and on the free movement of such data. Having regard to article 5 of the aforesaid Regulation (EC) 45/2001, the data processing is considered lawful because it is necessary to meet the requirements of the legal instruments mentioned above, and to ensure compliance of the Commission with its legal obligations. 3. Which data do we collect and process? (ii) Further personal data upon explicit consent may be collected if necessary for handling the complaint such as bank details. 4. How long do we keep your data? Personal data of the consumers, traders’ and ADRs’ representatives shall be kept as long as a case remains open, and no longer than one year after it has been closed. This is to allow follow-up if there are new developments after the closure of the case. Once the retention period expires, the information is anonymised and only kept for statistical purposes. 5. How do we protect your data? 6. Who has access to your data and to whom is it disclosed? To resolve your request it may subsequently be shared, with your express consent, with the ECC where the trader is based or, where appropriate, with relevant bodies such as an ADR entity or a National Enforcement Body (NEB). Access to your data is provided to authorised staff according to the “need to know” principle. Such staff abide by statutory, and when required, additional confidentiality agreements. The authorised staff are the Case handlers in the European Consumer Centres and the European Commission staff charged with product or business management of ECC-Net2. Norway and Iceland are EEA/EFTA countries and members of the European Consumer Centres Network. Transfer between ECCs in the EU and the ECCs in Norway or Iceland is therefore considered an Article 8 transfer in the meaning of the Regulation No 45/2001. 7. What are your rights and how can you exercise them? According to Regulation (EC) n°45/2001, you are entitled to access your personal data and rectify and/or block it in case the data is inaccurate or incomplete. You can exercise your rights by contacting the European Consumer Centre with which you have been in contact or the data controller, or in case of conflict the Data Protection Officer of the Commission and if necessary the European Data Protection Supervisor using the contact information given at point 8 below. The European Data Protection Supervisor (EDPS): edps@edps.europa.eu. 9. Where to find more detailed information? Regulation (EC) N° 45/2001 (OJ L8 of 12/01/2001).